The food recall warning issued on January 20, 2019 has been updated to include additional product information. This additional information was identified during the Canadian Food Inspection Agency's (CFIA) food safety investigation. 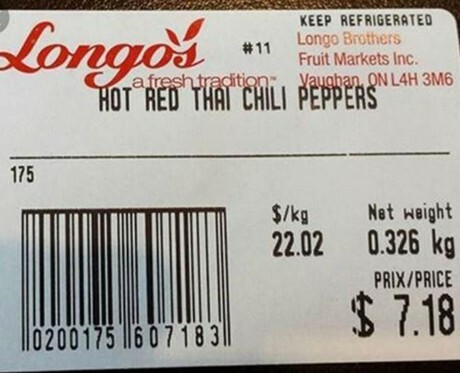 Veg-Pak is recalling Veg-Pak brand Hot Peppers Red Thai and Longo's brand Hot Red Thai Chili Peppers from the marketplace due to possible Salmonella contamination. Consumers should not consume the recalled products described below. Inspection.gc.ca advises you to check to see if you have recalled products in your home. Recalled products should be thrown out or returned to the store where they were purchased. 2019-04-23 "New water rules mean safer romaine"
2019-04-03 What controls do avocados undergo in Spain?